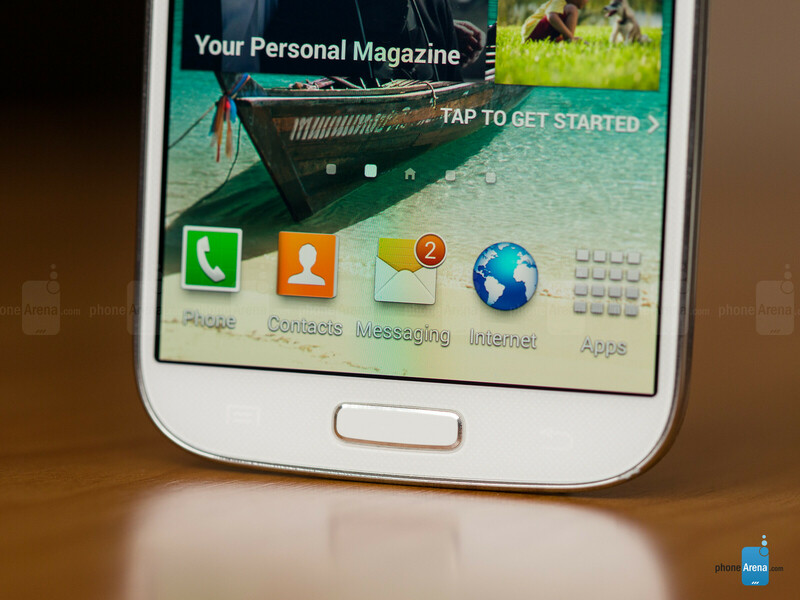 Released in April of 2013, the Samsung Galaxy S4 was a cutting-edge smartphone that featured all the goodies one could need back then. However, as it's the norm in the wireless industry nowadays, a top-shelf smartphone remains top-shelf for just about one year, when it gets outshined by its successor and next-gen rivals. And indeed, we now have the Galaxy S5 as the new king of the hill by Samsung, along with a number of other drool-worthy propositions like the Xperia Z2 and One (M8), but should we hurry to dismiss the Galaxy S4 as a viable option on the market? Definitely not! Samsung's last-year champion still packs quite a punch, plus its price is supposed to have gotten more un-flagship-like, as we now have more powerful smartphones occupying the highest end of the spectrum, pushing the price of older gear down. 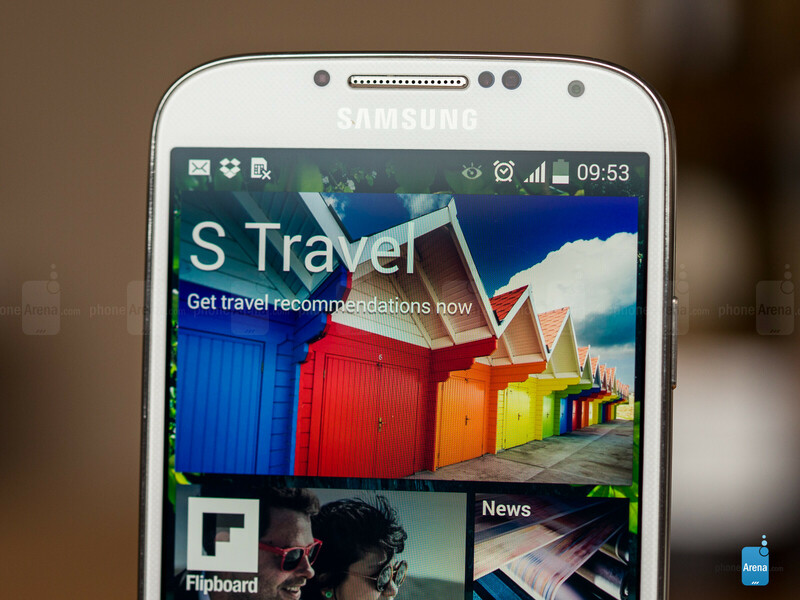 A full year has passed since the Galaxy S4's initial launch. However, the popular phone is still available for purchase as new, so here's what we're going to do: we'll see how the GS4 compares to other smartphones that happen to sit closest to it in terms of pricing at the moment. Interestingly, it looks like manufacturers haven't really targeted the upper-mid range of the market that much in the past few months. This means that there are few such handsets out there that deserve your attention. One of those rare examples is the HTC Desire 816 (still difficult to find), so we'll make sure to factor in this one in the following lines, as it comes pretty close to the S4 in terms of cost. However, as a whole, it appears that the Galaxy S4 actually remains closer to the new flagships of 2014, as well as those that launched towards the end of 2013 – in terms of both specs and pricing. So, the first task has been accomplished – we've identified the types of phones that the Galaxy S4 can best challenge at the moment. Now, let's dive in and see if Samsung's last-year heavy-hitter can still warrant a purchase, as well as if its new rivals have gained a lead that's significant enough in order to transform them into must-have upgrades for those numerous GS4 owners. Deja vu! Well, not exactly, because when it comes to Samsung's designs, we're constantly having deja vu sensations, as there's little difference in the design aesthetics across the company's portfolio. Really, we don't know if it should be considered a design that's completely, irreversibly worn out, or one that just never gets old. Still, we have to admit that it's a full year later, and the clean, glossy plastic body of the S4 still seems perfectly current. Although the Galaxy S4 doesn't differ much from the GS5 or any other ~5” Samsung phone in terms of looks, it does have a rather unique advantage among its peers, and that's its relatively reasonable size of 5.38 x 2.75 x 0.31 inches (136.6 x 69.8 x 7.9 mm). In contrast, this year's crop of high-end phones is definitely larger, starting from the Galaxy S5 (5.59 x 2.85 x 0.32 inches (142 x 72.5 x 8.1 mm)), moving through the One (M8) (5.76 x 2.78 x 0.37 inches (146.36 x 70.6 x 9.35 mm)), and ending up at the Xperia Z2 (5.78 x 2.89 x 0.32 inches (146.8 x 73.3 x 8.2 mm)). Sure, some of these feature slightly bigger screens, but the substantial differences in their dimensions mean they shouldn't be overlooked. 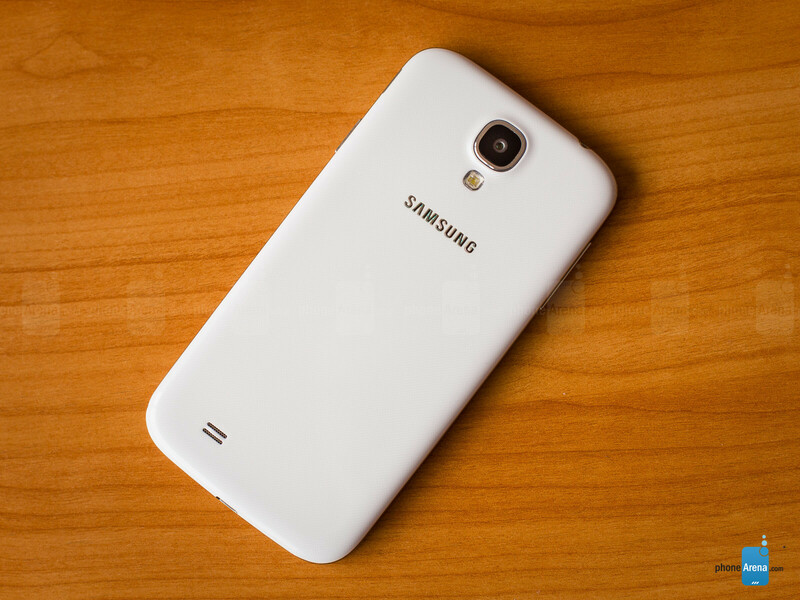 In terms of build quality, the Galaxy S4 is unapologetically plastic. The design is uninspiring, just like any other Samsung Android phone. It doesn't have the GS5's perforated back – instead, it comes with the simpler, glossy back cover that may be a fingerprint magnet, but makes the handset feel comfortable and moderately non-slippery in the hand. In terms of looks and materials, though, it can by no means rival some other phones that exhibit more attention to detail when it comes to their exteriors, such as the Apple iPhone 5s and the HTC One (M8). The Xperia Z1, which launched about half a year after the GS4, is also decidedly more premium with its solid glass-and-metal construction, and the same goes for the newer Z2. The physical buttons of the phone function well enough – there isn't anything particularly impressive about the volume, power and home keys, but they definitely get the job done without much hassle. In that area, the Galaxy S4 is once again inferior to handsets that put more emphasis on design, such as the iPhone 5s and One (M8), but if we look at the Galaxy S5, things haven't really changed much for Samsung. 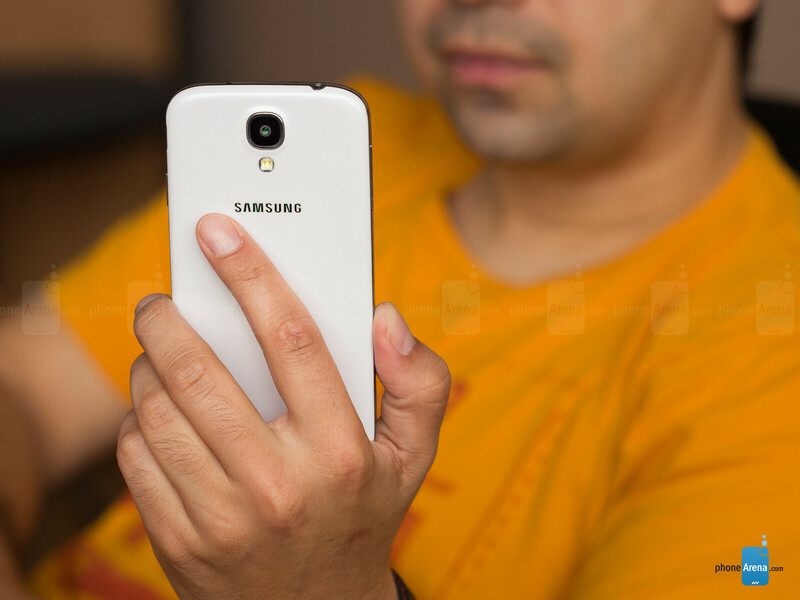 An area where we can see the Galaxy S4 starting to lag behind current trends is ruggedness. Many an Android flagship coming out this year have some form of IP certification, while the GS4 doesn't have any. This means that in contrast to some of the top handsets you can buy today, the Galaxy S4 isn't supposed to be capable of resisting dust or water. Still, not all 2014 flagships have received those rugged capabilities – the HTC One (M8), for example, can only resist small sprays of water, so the GS4 isn't completely outdated in this respect. 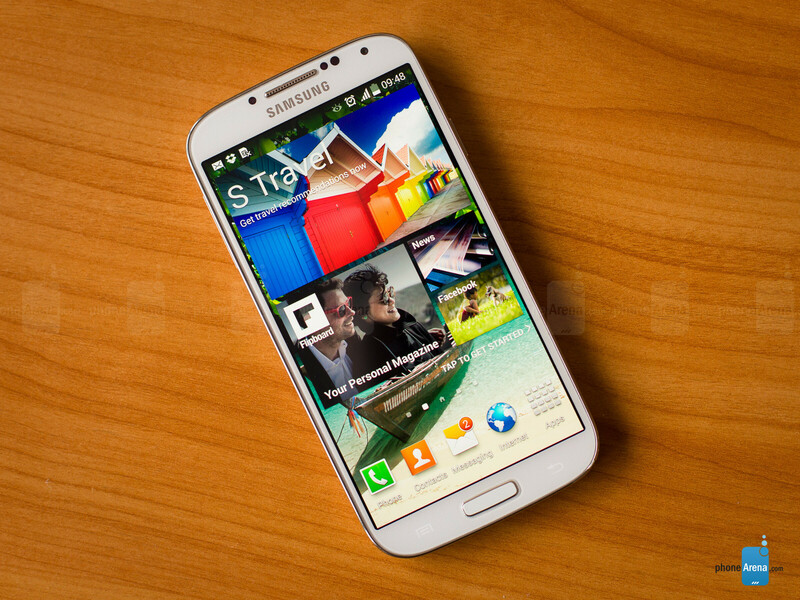 Samsung armed the Galaxy S4 with the best AMOLED screen it had at the time. Nonetheless, it was still far from perfect and lagged behind IPS LCD screens in a number of aspects. Samsung then followed up with better AMOLED screens in the Note 3 and S5, so the GS4's display is now inferior even in the context of AMOLED displays only. The Galaxy S4 comes with a 5” 1080 x 1920 screen – that makes it better than any other mid-range display in terms of resolution, as pretty much all mid-rangers max out at 720p. In comparison with newer high-end Androids, the GS4 stays competitive in the size and resolution department, but there are other aspects of its screen that make its age shine through. It is really dim and inaccurate, compared to both the quality LCD and AMOLED screens of today. Achieving about 300 nits max, the GS4 is a phone that's hard to view under the hot, bright sun. In comparison, Samsung's new AMOLED screens can go up to about 450 nits, making them much easier to view outside. Meanwhile, quality LCD screens can go up to about 500 nits, delivering even better visibility. Not that outdoor visibility depends solely on screen brightness, but it's certainly one of the most important factors. Having that in mind, a notable performer in this respect is the iPhone 5s, which can reach about 580 nits – an astonishing feat! 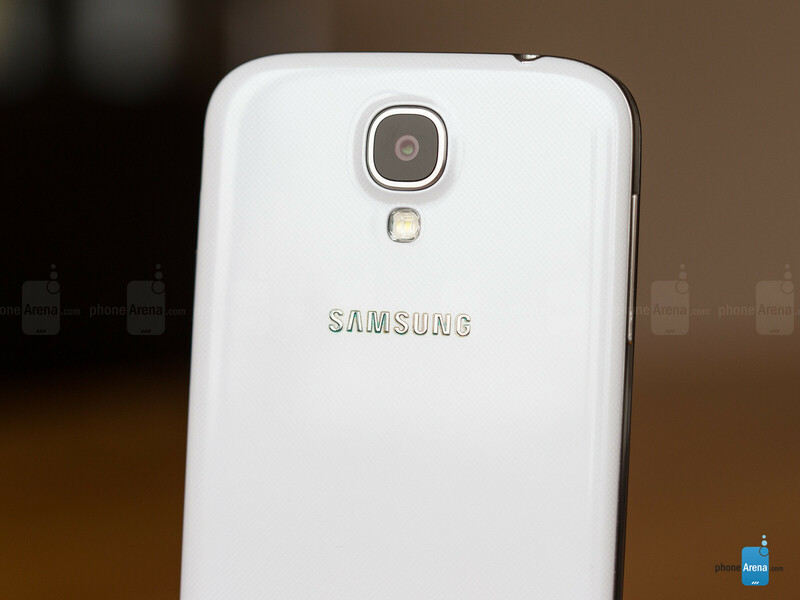 Color-wise, things aren't looking pretty for the Galaxy S4 (literally). It's a bluish/greenish screen that lacks a lot of red, and thus, liveliness. Of course, you can always stick with the Standard or Dynamic screen modes, enjoy the punchy visuals and forget about accuracy, but that's not the point here. The point is that if you want to experience life-like visuals on the GS4's screen – you can't. It'll always have excessive green or blue, depending on which mode you've chosen. Meanwhile, it seems like AMOLED hasn't gone so far in this department since the GS4, as the newer GS5 and Note 3 don't really excel as well. On the other hand, there are more and more high-quality LCD screens on the market, which can offer you a much better viewing experience, with vivid, yet true-to-life colors. Such examples include the Apple iPhone 5s, LG G2, HTC One, HTC One (M8), Sony Xperia Z2, and many others. As you can see, that's almost every contemporary premium smartphone with IPS LCD or Super LCD display. Of course, that's not to say the GS4's screen is so difficult to look at. Not at all – the added punch and contrasty looks sure are eye-catchy, but we should definitely take into account the great amount of color error that this display exhibits, making for unnatural skin tones and overall artificially-looking visuals. lol....Why do you guys amOLED so much ? What's new? It's Ray S.! He has this congenital hate for Super AMOLED. He even made a dedicated article to express his abomination against the display tech. Oh well, I think it's the user review (9.4) that should matter after all. And apparently better indoor performance, viewing angle and a wider colour gamut seems to mean nothing to PA.
What is this obsession with 'accurate colours'. I can understand for professional photographers, etc. but to general people they could be least bother with that and that is what PA is here to serve 'general buyers' not pros. For e.g. when you view a photograph of a model you don't expect the photo of her without make-up and effects and expect an 'accurate representation' of her/him. You want the picture to look nice to you, be eye-catching and appealing. At least that's what I think. No, it's because as soon as Displaymate announced the S5 had the best, most accurate display ever, Ray immediately began searching for ways be could claim it wasn't because he can't accept it. He still to this day won't test their max brightness in auto, even though it's been know since the Note 3 debuted that Auto has a higher maximum output. Actually since the s3 that auto has higher maximum brightness.. i've known about this since years ago.. but it seems not much people knows about it..
People praise accurate colors on LCD screens but companies market them to have vivid, lively and having punchy colors. Its a contradiction. Always Remember, that this SAMSUNG Device outsells those other brands alone. yeah iphone outsells others. does it matter ? companies care about sales people care about other things. I would have bought my s2 if samsung hadnt been famous as today. Same Here, I got it when it was first launched and I was hesitant between it and ip4S, glad I got the GS2 ..
yes it was amazing for it's time, and still it's a pretty good device today ... about the designs, this is subjective ... it's a love it or hate it situation .. the Note 3 does stand out as the one that's truly different from the others and it reminds me the GS2 in some ways ..
Ooooh we have a rebellion here. I admire people that don't succumb to mainstream things and are constantly living on the edge. Really Phonearena and alternative is like seeing a women without her makeup on, thats what you like… true natural colors. And just like how a pale woman will make herself look tan, Samsung makes their whites look blue! Displaymate found that both the S4 and the S5 had more accurate who's that the iPhone. It's funny then that the displays whites look blue. Also, who said anything about the S5? Although (and thanks, by the way, for the 240 second edit cutoff...) one could easily argue that "movie mode" is like putting makeup on Samsung's default screen.